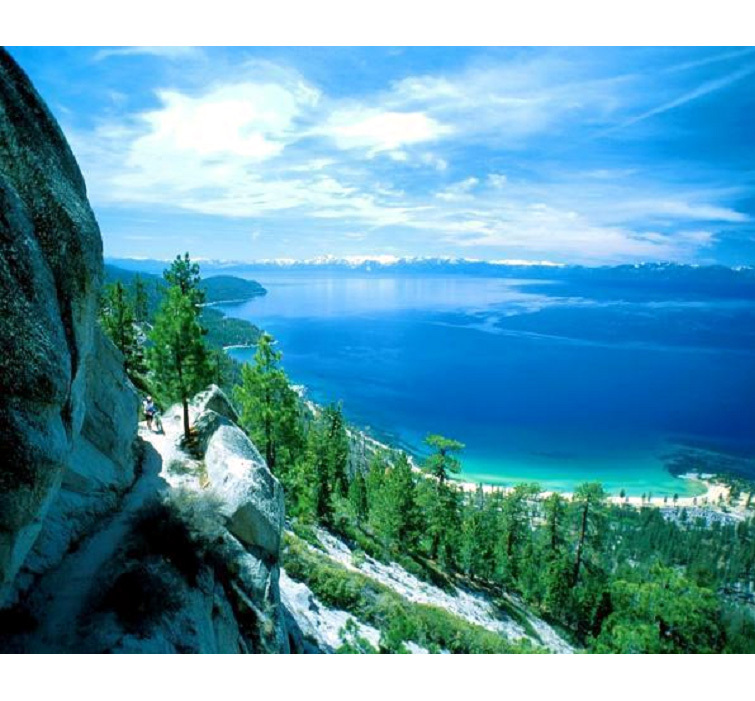 Snow still covers the sloping neck of the Sierra Nevada in July, spreading granite-veined arms to the edge of Lake Tahoe, dipping iron fingers into crystal water. Canadian geese waddle the beach. Water-lapped sand tumbles endlessly at my feet. And, a breeze blows up and lifts my eyes to a multi-colored parachute rising in the wind, a body dangling from a tether, a motorboat moaning steady with its tow. Eyes fall, find the churning granules. Wind. A hot air balloon ascends, lofting over the water, floating down, then up again. Just got back from a weekend at Lake Tahoe, one of the most beautiful places I know. There are few planted gardens around the homes clustered by the lake, I noticed on my early morning walks, mostly potted petunias, flowering madly in July. The snowy winters and untended vacation homes don’t lend themselves to cultivated plantings. But, the Sierra’s natural landscape is full of pine, fir and cedar; Zen rock gardens of boulders and skree, spiky grasses and lichen. Took the gondola to Heavenly, drawn 3,000 feet up the mountain to 9,100 feet on a slender metal cable. After lunch, I went onto the deck outside, stepped into thin air. A Japanese couple exited at the same time. The man and I breathed a loud sigh together, turned to each other and laughed at the joy we felt in breathing immaculate air. Found a new book from Timber Press: The Edible Front Yard isn’t about the typical veggie garden. Author Ivette Soler advocates putting edibles up front and creating edible gardens with curb appeal. She offers step-by-step instructions for converting all or part of a lawn into an edible paradise, including specific guidelines for selecting and planting the most attractive edible plants, along with design advice. 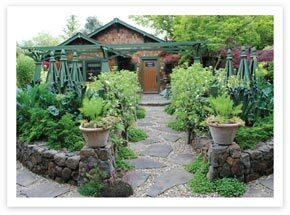 The Edible Front Yard is a one-stop resource for a front-and-center edible garden that is both beautiful and bountiful. Author Ivette Soler is a garden designer and writer living in Los Angeles, California. Her garden writing has been featured in Garden Design, Cottage Living, and Budget Living, and she was the resident gardening expert on NBC’s The Bonnie Hunt Show. Her popular gardening blog, The Germinatrix, originated in 2006 as a part of Domino magazine. $19.95. Order from Timber Press.